Today millions of elderly do live in nursing homes around the world. In most cases, however, it is not a matter of the “callous warehousing of the elderly,” as some have called the putting of them in nursing homes. Rather, it is often the only alternative to adequate care for those unable to care for themselves." All too often, children of the elderly are not in a position to care for their aged parents, many of whom may be severely afflicted with Alzheimer’s disease or bedridden with some other debilitating malady that requires special round-the-clock care. 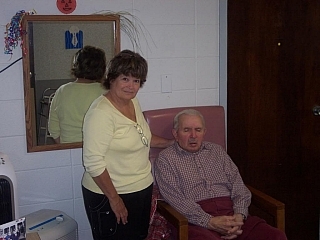 In such cases nursing homes may be the only places capable of meeting these special needs. So, when, as a last resort, a nursing home becomes needed for adequate care, the family should seek out one that is clean and staffed by kindly and competent caregivers. If it is at all possible, arrange for a visitor every day—a family member, someone from the neighborhood, at least a phone call—so that the elderly person does not feel abandoned, forgotten, totally alone, and thinking that no one cares. When others in the nursing home are having visitors, but no one comes to see your loved one—this can be very disheartening. So try to see the person regularly. Visit with him. Listen to him. Talk with him. The latter is very important. Even if he seems to be in a coma, talk anyway. You never know to what degree he may be hearing something! However, when making decisions regarding parents, try to do so with them instead of for them. Let them feel they are still in control of their lives. Therefore, offer the needed assistance with all the love and patience and understanding possible.